Domenic Torzi is of South-Central Italian origin, a heritage reflected in some of the grape varieties he grows and the “Amarone” treatment he gives to his Frost Dodger Shiraz. With his partner Tracy Matthews he has set up home since 1996 on 10 hectares of land in the high Eden Valley, a cool region in South Australia more famous for Riesling than Negroamaro or Shiraz. Not only do they make great, characterful wines, but they also make fabulous olive oil from some of the ancient wild olive trees in the Barossa Valley. This is classic Eden Valley late-picked dry Riesling, with an intense nose of waxed citrus fruit, lemon sherbet and candles. The palate initially displays lemon bon-bon sweetness with a lovely rounded texture before a burst of lively, steely acidity dominates a refreshing finish. Ideal with rich smoked fish. 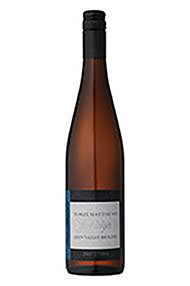 The Wine Advocate - The 2013 Frost Dodger Riesling opens with notes of honey-drizzled white peaches, grapefruit and jasmine as well as a hint of yuzu zest. 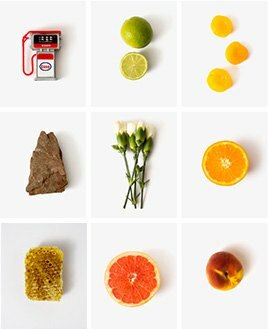 Light-bodied, crisp and dry, the palate displays a great intensity of perfumed, citrus fruit flavors and finishes long and clean. Drink it now to 2018+. 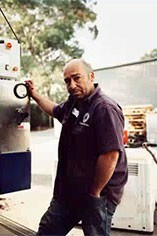 Domenic Torzi is of South Central Italian origin, a heritage reflected in some of the grape varieties he grows and the “amarone” treatment he gives to his Frost Dodger Shiraz. With his partner Tracy Matthews he has set up home since 1996 on 10 ha of land in the high Eden Valley, at the foot of Mount Mckenzie, a cool region in South Australia more famous for Riesling than Negroamaro or Shiraz. Not only do they make great, characterful wines, but they also make fabulous olive oil from some of the ancient wild olive trees in the Barossa Valley, and if you are lucky enough to visit they may treat you to some of their beautiful home-cured ham and fresh bread. Eden Valley is a famous fine wine Southern Australian region, nestled at 400 metres among the Barossa Ranges on the eastern boundary of the Barossa Valley, approx 500 ha. Samuel Smith planted vines here in 1849. Johann Henschke’s farm near present-day Keyneton, then called ‘North Rhine’dates back to 1862. However until the 1950s the region reverted back to livestock to make a living (as irrigation impractical). The 1950s saw a resurgence in the region’s fortunes, thanks to the likes of Cyril Hencshke’s promotion of Riesling. Yalumba acknowledged the region’s high quality fruit by relocating its winery to Angaston in the early 1970s; they had already planted the now famous Pewsey Vale vineyard in 1962. In 1972 they planted their Heggies vineyard with Chardonnay & then in ’84 with Viognier. At between 380 – 550 metres, the region displays nutrient poor yellow podzolic/sandy & pink quartz soils over decomposed (gneiss) granite. Due to the rocky nature of the soils, irrigation is largely provided by dams & planting densities are higher than average. Compared to Clare Valley, Eden Valley is a marginally higher in altitude, if notably cooler zone with similar sunshine hours but slightly lower levels of continentality. As expected, the style of these Riesling, Chardonnay and Viognier wines is one showing fine elegance & floral, stony purity; none of the wines should require acidification.